As one of the world’s premiere European chocolatiers, Lindt showcases the company’s passion for chocolate and sensitivity to detail through an environment of authentic and artisan interior finishes that creates old world charm and new world energy. Reflecting the company’s heritage, its focus on detail is evident in the use of crafted cabinets, hand wrought-ironwork and visual merchandising enhancements that tempt consumers to explore every inch of the store. 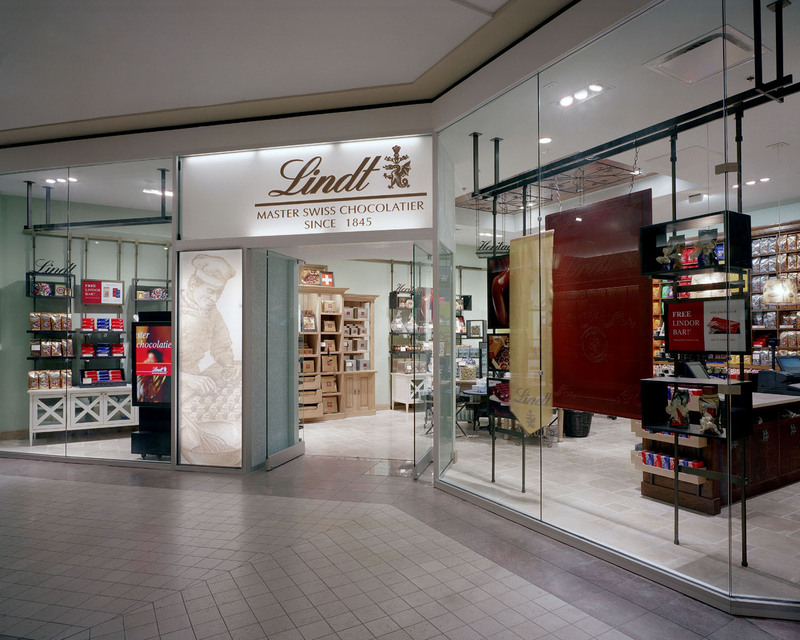 Attracting and welcoming the customer is a storefront portal fabricated from internally illuminated glass with a subtle, but compelling oversized application of the brand’s iconic maitre d’chocolat (chocolatier), glass mosaics and bronze metallic signage.